Today we go over a deck that came with Reign of Varna's release, Zoo. Now what is Zoo, exactly? It's a deck with several two card combos, that create large creatures that are difficult to deal with efficiently, namely Bron and Roaming Warclaw, Dozer and Scourge Hydra, alongside other big creatures like Shardplate Behemoths and Immortal Echoes shenanigans, with Deathweaver as a Zoo-keeper, almost. But what makes the deck so powerful? One of the biggest reasons is that they get to kill your anchors more than any other deck in the metagame. Anchors are cards that allow you to do nasty things to your opponent, given initiative. Broodqueen, Ghox and Aeronaut (in conjunction with Oratek Explosives) are great examples of that, and the Zoo deck sometimes gets to maul them and still put two sizeable bodies on the board, which can ruin many a deck's game plan. Yes the image is broken. Secondly, Bron helps you keep a board healthy. Traditionally, healing effects (not to be confused with life gain effects) have been quite weak, Esperian Steelplate for example was mediocre because your opponent could play around it because they saw it coming. Bron has none of that, barging in and healing up all your big dudes while being a really sticky and hard to deal with creature. It is also of note that Shardplate Behemoths benefit off healing more so than other creatures as they also gain attack. Finally, the Leyline series to punish your opponent's plays. 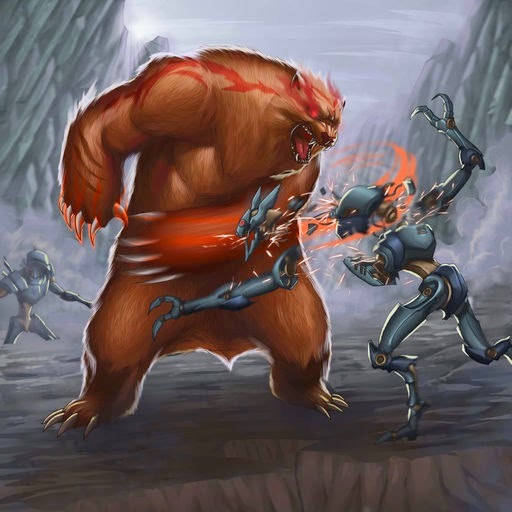 In order to deal with your big creatures, your opponent usually has to employ cards like Oratek Explosives or Rage of Kadras, which usually trips the Golem or abuse Free plays, which trips Leyline Demon. They both get pumped by Deathweaver, so these can be extremely troublesome for the unwary opponent. However, all this power comes at a severe cost in consistency, and the deck sometimes just plays mediocre bodies over and over until it rolls over. On the flipside, sometimes you just draw your two card combos over and over until your opponent rolls over. Just keep that in mind if you plan on using the deck to grind out ConQ and run into games where you don't do anything. Now, what about the other side of the board? The deck is already quite popular, and you'll be seeing it a lot, in both the constructed queue and the Golden Gauntlet, knowing how to play against the deck would be quite helpful information no? First of all, it is of utmost importance you base your plays around the Leyline cards, this means moving first before slapping Oratek Explosives, and especially never risk a Leyline if a Deathweaver is staring at you if you can help it. Be really careful as you play against the deck, as the smallest mistake will hurt. Then, remember that your health is a resource (as always, but especially so versus this deck). going down to 60 to grapple back a board is often optimal, but beware of going to the 30 or so range, as they might cheese you with a few slaps from a Dino Knight or angry bears. Finally, proper deckbuilding is also paramount. If you're Alloyin, Leyline Sentries and Oreian Justicar screw over the deck big time, with Rage of Kadras and Oratek Explosives being other equalisers. Behemoth and Nethershriek are also UN options. That about wraps up the deck breakdown! I hope you enjoyed reading as always, and hopefully there will be more articles coming soon, given the relative drought in March (a result both to a combination of my negligence and writer's block).